Collect all the orders and reach 30000 points to complete the level. This level has easy difficult and you can reach requirement within few moves but required good strategy. First try to break meringue blocks then as colorbomb get free break them with same normal candy. 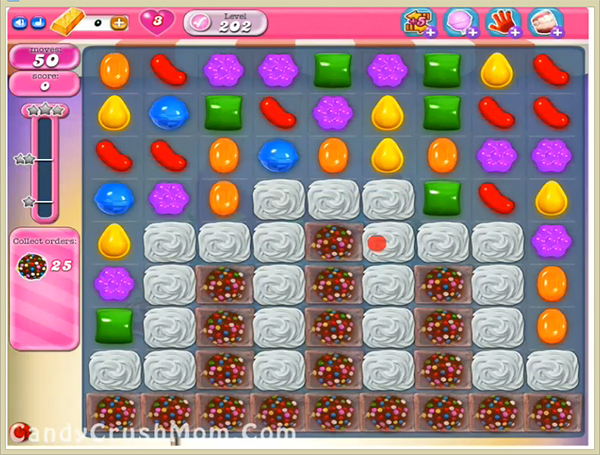 As you will break with same normal candy then you can combine other five color candies easily to make more colorbomb. We completed this level with 181080 score using same trick that we posted above that help to get three star score at the end of the level.